Sixteen participants who suffered from PTSD when they joined the trial no longer met the criteria for diagnosis. BETTER KNOWN TO nightclubbers as ecstasy, the euphoria-inducing drug MDMA appears to alleviate Post-Traumatic Stress Disorder (PTSD) in war veterans, firefighters, and police officers. 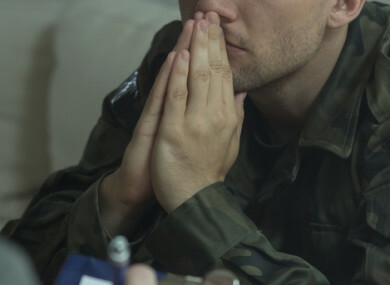 In a trial in the United States, three different doses of the drug were tested on 26 service personnel diagnosed with the debilitating affliction after experiencing trauma in the line of duty. Those on the two higher doses – 75 or 125 milligrammes – enjoyed greater relief of PTSD symptoms than those given the smallest dose of 30 mg, a team reported in the journal The Lancet Psychiatry. All 26 received psychotherapy throughout the drug trial, and did not know what dose they were receiving. A month after their second dose, 86% of the 75 mg group no longer met the diagnostic criteria for PTSD, said the study authors. The figure was 58% for the 125 mg group and 29% for the 30 mg group. In a second leg of the study, participants previously on 30 mg who had their dose upped to 100-125 mg of MDMA saw symptoms “significantly” decrease. After one year, the severity of symptoms among the 26 remained “significantly reduced”, the researchers reported. Sixteen participants who suffered from PTSD when they joined the trial no longer met the criteria for diagnosis. The findings suggest this “novel approach to pharmacotherapy” may help accelerate patient treatment by combining psychotherapy with a fast-acting drug “administered only a few times at monthly intervals” said the team. But this did not mean that people suffering from a psychiatric disorder should rush out in search of ecstasy – an illegal drug – in the hopes it will make them feel better, said the team. MDMA treatment should only be done hand-in-hand with psychotherapy under the supervision of a qualified medical professional, they added. During the trial, 85 “adverse events” – including anxiety, headaches, fatigue, and insomnia – were reported by 20 trial participants. It is not clear whether the MDMA or something else was responsible. One trial participant was admitted to hospital with suicidal thoughts. PTSD is triggered by living through a traumatic event. Sufferers continue to experience stress or fear long after the danger has passed – sometimes for years. Symptoms include flashbacks and bad dreams, and PTSD sufferers can be easily startled, or quick to anger. The disorder is linked to a high suicide risk. Previous research has shown that MDMA helps relieve PTSD symptoms in victims of sexual crimes. The latest study focused on 22 military veterans, three firefighters, and a police officer. The trial did not include a control group of participants given an MDMA “dummy” dose, or placebo. Nor did it compare the effectiveness of MDMA to existing medicines. University of Oxford experts Andrea Cipriani and Philip Cowen observed that some recreational MDMA users experience a sharp drop in mood a few days after the chemical-induced high. Such a side-effect would be of “particular concern in individuals vulnerable to depression and suicidal feelings”, the duo wrote in a comment also published by The Lancet. “The unmet need for better PTSD treatment, particularly in veterans and first responders, is undoubted,” they added. But further research must determine whether MDMA therapy offers any real benefit to mainstream psychotherapy. Email “Ecstasy may relieve Post-Traumatic Stress Disorder in war veterans, firefighters and police officers”. Feedback on “Ecstasy may relieve Post-Traumatic Stress Disorder in war veterans, firefighters and police officers”.